The architect looked down on his architectural model, his cardboard people brought down in perfect scale. He picks one up from the broad curving stairs to be made of stone and placed the person under a tree. The architect smiled to bring another a moment of shade and a respite made to scale. I pondered whether to compose a letter to you, spurred on by the feel and look of that stationary with the dried flowers pressed into the paper. I resist the impulse to pick up the pen and write, then I don’t. I scribble down a few words, each one as loaded as the next. I start and stop, start and stop, Each time I end up crumpling up those words and tossing them onto, for the lack of a better word, the heap. My grandfather had had only one hobby: Japanese calligraphy. As I grew from a child to a teenager to an adult, I had had varied attitudes about this accountant who would spend seemingly all his spare time practicing Shodo with that antique fountain pen. Yet I found an elegant solace in that he had left his sketch pad opened to a blank page and that fountain pen laid across it, I know, with a singular precision. Inspired by this week’s Three Line Tale photo prompt #88 on Only 100 Word’s blog. When he finally couldn’t take watching the coverage of the travesty anymore, he turned the television off. From through the wall, one of his neighbors obviously was watching the looping coverage. He walked out into the mist and almost remembered peace. 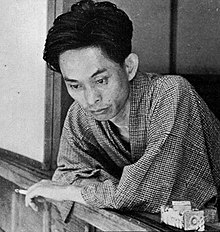 The phrase palm-of-the-hand stories was coined by Yasunari Kawabata to describe more than 140 short stories he wrote over his long career. The earliest story was published in 1920 with the last appearing posthumously in 1972. The stories are characterized by their brevity – some are less than a page long – and by their dramatic concision. My take on Palm-of-the-Hand Stories are that they can literally be held in the palm of the hand. Because of that criteria, these stories would not be titled. They would have been wrong. He had seen the approaching crag. On his journeys the Fool had encountered lands in placid repose in their flawless closure. All chores and quests fulfilled. This is death, the Fool thought. And through a fool’s clarity, he foresaw the plunge making him the first words written upon a blank page. He envisaged himself sparking against the scree, becoming sparks uplifted by a divine breath manifesting. The Fool gifted us that step upon the air. Had others been there, they would have seen him smile. The hypochondriac told me a list of symptoms that he was sure were signs of an appendix about to burst. I know he’s a hypochondriac because he told me his doctor told him so the last time we crossed paths in the ER. I told him that I had thrown myself down a flight of stairs. This was meant to be a joke because I had accidentally fell down a flight of stairs, or at least that was what I told the doctor. That my plan to watch the solar eclipse at Madras had hit a snag was obvious as soon as I heard the metallic clank and the car began its slow lurching to the side of Highway 97 about ten miles from the Columbia River Gorge. Waiting for the tow truck to rescue me from the desert plateau, I leaned against the fender and debated whether this trip was the best way to blot out the emotional turmoil of the past week. Coming to no conclusion on the matter, I killed the time by watching gusts whip the dust into a haze that blurred the distant wind turbines, the white blades spinning in their incessant loop.